Microsoft issued a service alert for Xbox Live as users experience trouble with Ubisoft's Uplay. 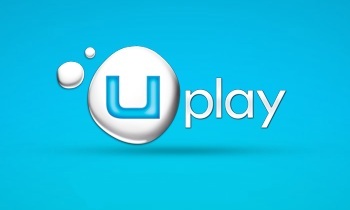 Ubisoft's Uplay feature has made it difficult for people to play games like Watch Dogs, Trials Fusion, Child of Light, and Assassin's Creed IV: Black Flag. Microsoft issued a service alert this morning for Xbox Live, asking for users' patience. Affected services include joining other Xbox Live members in online games, managing friends lists, and tracking friends' activity. Other Xbox Live services are unaffected. Microsoft issued a statement on its support page, stating, "Hi Xbox members, are you having trouble using the Uplay feature on games like Watch Dogs, Trials Fusion, Child of Light, and Assassin's Creed IV: Black Flag? We are working with our partner to get the issue resolved as quickly as possible. Thanks for your patience. We'll update you on our progress as soon as we have more information." Watch Dogs launched Tuesday, May 27. Reports indicated players struggled with its performance for the PC version, but uPlay has affected players for the worse on Xbox One as well. In addition, Eurogamer states it's received reports of PS4 users struggling to connect to Uplay. Ubisoft Support tweeted yesterday that it is "continuing to see improvement" in its online services, but some issues remain. Maintenance this morning addressed servers to aid in multiplayer matchmaking on PC, PS3, and PS4.